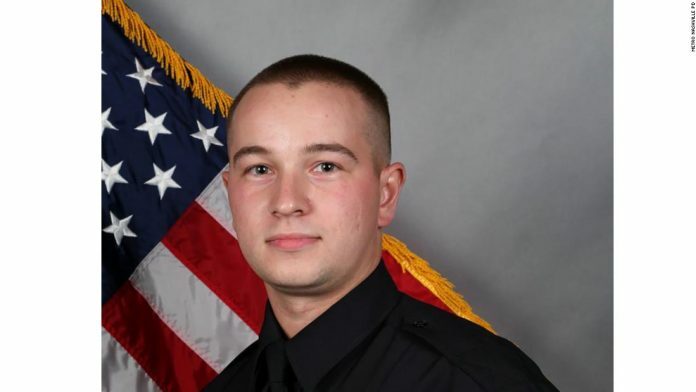 A Nashville grand jury has indicted Metro Police Officer Andrew Delke for the fatal July 2018 shooting of Daniel Hambrick, a black man who was running away from the officer. The case was sent to the grand jury earlier this month after General Sessions Judge Melissa Blackburn found there was probable cause to charge Delke over the shooting. The case is unprecedented in Nashville’s history, as Delke is the first Metro officer to face criminal charges for an on-duty shooting. The indictment puts him one step closer to trial. An arrest affidavit from September says the foot chase and shooting occurred when Delke — who was patrolling the area looking for stolen vehicles as part of MNPD’s Juvenile Crimes Task Force — pulled into the parking lot after a car he mistook for a vehicle he’d attempted to stop nearby. When Delke parked, Hambrick took off running, and Delke gave chase. He ultimately shot Hambrick three times, striking him twice in the back and once in the back of the head. Both men were 25 years old at the time. Hambrick was allegedly carrying a gun, and prosecutors have not disputed that he was armed. But Delke claimed to investigators that, during the chase, Hambrick turned and aimed the gun at him. Surveillance footage does not show Hambrick pointing is gun at Delke, and in her order earlier this month, concluded that it was “improbable” he had done so.